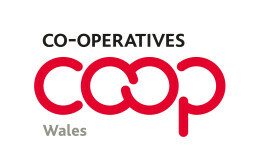 The Welsh Co-operatives and Mutuals Commission has published its report, which makes recommendations on growing and developing the co-operative and mutual economy in Wales, in order to create jobs and wealth. The ‘Co-operatives and Mutuals Commission Wales Report 2014’was launched at Accommodation Furniture Solutions Ltd (AFS Ltd), Swansea. AFS Ltd is a worker co-operative that was formed with support from the Wales Co-operative Centre following the closure of the Remploy factories in 2012. The Welsh Government has commissioned a consultation process following the report’s publication. There will be three consultation events across Wales, facilitated by the Wales Co-operative Centre, which are free to attend. Places for the events can be booked here. If you cannot attend the events, a questionnaire will be made available.